Success Stories | Sepehr Safaee YourOttawaRealEstate.com, SUTTON GROUP-PREMIER REALTY (2008) LTD.
Couldn't be happier with Sepehr's devotion and dedication to find us a place that's perfect for us. He worked very hard and helped us with every need and request we had. You're making the right choice picking Sepehr's services! Sepehr Safaee and his team get the job done. I have used him for my past three transaction and will continue to use him going forward (I have found my agent). I have tried other agents in the past, but found their services incomparable to Sepehr and his team. He has sold my previous home for full asking price (one day in the market!!!) and rented my condo twice (tenants found within a week or two). If you are looking for fast, efficient and dedication, I strongly recommend his services! Sepehr was awesome to deal with. He answered our questions and was very proactive to deal with. His advice was quite strategic, we were very impressed with his knowledge of the market and negotiation. Furthermore, he made himself available at all hours. I would highly recommend Sepehr! I had the best real state experience with Sepehr. He is professional, trustworthy, honest, and dedicated. My house needed to be prepared, when I was mostly out of town. The home needed to be partially renovated as it was not in a good shape. He managed the renovation and reshaped the house to a very good condition. He sold my house quickly in two days after the ad was posted. I suggest him for any real state job. I have used Sep on 3 separate occasions to find tenants for my rental unit. Each time tenants were found quickly and paid rent at or above my asking rate. Sep did a great job! I would like to thank Sepehr for being the most patient agent anyone can ask for during our buy and sell process! Looking back at those days I can say that I wasn’t an easy client and he did his best to keep us calm and give us the best service possible! We finally found the house we needed and were able to close our old house on time to be able to make this purchase! Thank you Sepehr! We enjoyed our experience of purchasing and renting our property with Sepehr. He is a broker of remarkable professionalism. He gives clear and well-presented information with the latest data on market trend. he listens to us and knows how to adapt to our needs. He is distinguished by his trust and positive attitude. It was a pleasure working with him and we don't hesitate to recommend him to others. I am happy to recommend Sepehr's services to anyone looking for a real estate agent. He gave me excellent advice on preparing my house for the market. We had two offers on the first day it was listed. He was on top of the various offers and kept the potential buyers aware of other interest, resulting in improved offers. When we ran into problems with issues around inspections, he was there to assist me in resolving the issues. While we had a number of bumps, the sale was completed relatively quickly, resulting in limited disruption to my life. My home sold for just hundreds under asking. I was recently confronted with the task of selling my mother’s condominium in Ottawa - a city in which I did not live, work or play! My mother is elderly and was ill-equipped to take care of the many details involved in selling the property herself, so naturally, the task fell to me. I was, to say the least, a reluctant candidate as I too was in no way willing or able to deal with the many aspects that such an adventure demanded. The prospect was daunting, until Sepehr Safaee came into my life. I’ll make a relatively long, yet very enlightening story, short. Sepehr came, he saw, he evaluated the situation and then proceeded to give me some much needed, relevant advice. Firstly, he talked me out of spending money that I had anticipated would be necessary to “stage” the condo in order to eventually sell it. He explained his pricing strategy, structured to suit a city in which condos are not scarce and continue to be constructed as we speak, and then – he delivered! I followed all his recommendations, saved my money and within 10 business days the condo was SOLD, at the price that we had initially agreed upon! Sepehr Safaee came highly recommended to me by a friend, who told me that he was an exceptional agent. I can now confidently testify that this is indeed so. He understood and tailored his approach and expertise to accommodate my unique situation, something that I consider a true sign of professionalism as well as an undeniable symptom of humanity. I wish everyone involved in any real estate transaction the best of luck – but luck alone has never successfully bought, sold or negotiated real estate deal. On the other hand, a gentleman who also happens to be an exceptional agent and who has your best interest at heart can. My wife and I had one week house hunting and Sepehr was the prefect agent to find us what we want in such short time. Sepehr was very organized, patient and helpful, he planned more than 30 visits, and we never felt rushed. Sepehr covered all the buying process from a to z. It was a real pleasure to work with him and we strongly recommend his services. 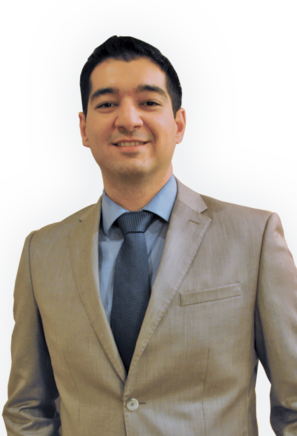 My Brother and I have been working with Sepehr for few years now , we are pleased with the services he offered us for buying, renting and managing our Condominiums. He has found good tenants in a very short periods of time. He is very energetic, honest and punctual. I would highly recommend him to anybody who wants to buy or sell properties in the Ottawa area. 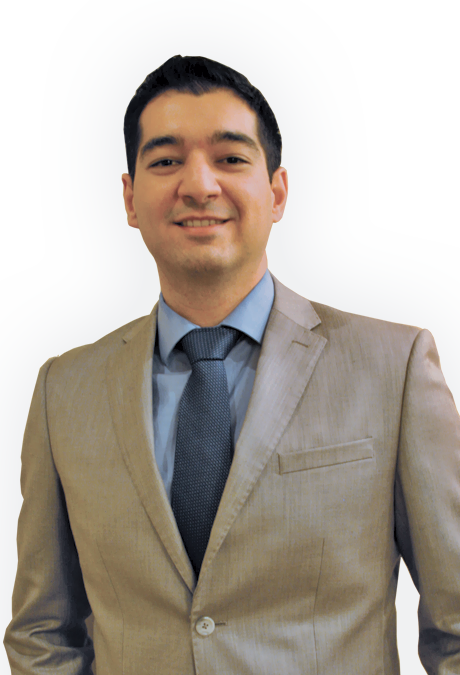 Sepehr is truly one of the most genuine and hard-working agents I have ever met, and he knows the Ottawa market! He sold my condo this summer, many months before I expected it to sell. My unit was in a high-rise building under a special assessment, which is a red-flag condition for any buyer and made it difficult for all owners in my building to sell. In spite of this red-flag, Sepehr was relentless in generating interest via the web, magazines and his professional network, and he got me an offer I was happy to accept. I am so glad I chose Sepehr to represent me. Sepehr is a true, kind, and hard-working agent. It was our first apartment that we had purchased and Sepehr helped us rent it out very quickly, and that meant a lot to us. We thank him for helping us in the busy market of today. My home was sold this spring and Sepehr was my real estate agent. It was my first time going through this experience and I could not have asked for a better agent to help me survive it. He explained the process thoroughly and was transparent, engaging, and professional in his dealings with me throughout. He also did his research meticulously before providing advice to me. Sepehr also provided excellent support and client service. If you are looking for a top notch agent with lots of integrity, look no further. Thanks Sepehr. Sepehr Safaee has been my rental agent and property manager for about two years. I currently own two properties in Ottawa which he has been managing ever since I moved to another continent for work. He has been reliable, honest and very hard working. He has consistently been renting them out and resolving any issues which arise in relation to the tenants or properties without taking up any of my time. I couldn't be happier to have found him. He is the perfect property manager and I will continue to work with him as long as possible. Sepehr was great for us. We were looking for our first home and wanted something just right. We were not in a rush and Sepehr was very understanding and patient with us. We never felt pushed and he listened to our comments. His knowledge and guidannce were exactly what we needed to narrow down the perfect home for us. Thanks Sepehr! Sepehr was a pleasure to work with in finding our new home. We were first time buyers and didn't know anything about the process. Sepehr patiently walked us through every step. He was very quick to find properties that suited our needs and help us finalize the sale promptly. We would happily recommend Sepehr's services to anyone looking to buy a home! Mr. Safaee to be honest is one of the best agents I have worked with. I had a downtown condo listed for rent with another agent, it had been on the market for over 2 months and the agent kept telling me that the "rental market" is slow. I finally had given up on them and had heard great things about an agent called "Sepehr Safaee" with Sutton Group Realty, so I decided to give him a chance. Literally within 1 WEEK from signing the contract, Sepehr had my condo rented on a 4 year term to a family of diplomats. I would highly recommend him to anyone I know and will definitely use him again in the future. I just bought my first investment property through Sepehr. He is very knowledgeable, honest, resourceful and thorough. He was available to answer my questions promptly and without any delays. He also put me in contact with people who helped me enormously with my investment needs. He was even able to find me a suitable tenant for my property within 30 days of purchase! I greatly appreciate your excellent service and professionaluim. My wife and I needed to buy a house. In one month, everything was done! Mr. Sepehr is a very patient person. He explained to us the different options which best corresponded to what we were looking for. He is very punctual and respectful. We really appreciated our experience with him!